We are your cruise and vacation specialty store! 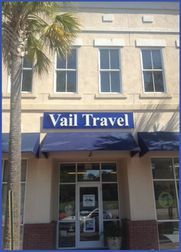 Thank you for visiting Vail Travel on Daniel Island, South Carolina! For 30 years, our agents have used their experience and expertise to match our clients with personalized cruise and tour packages that satisfy vacation dreams. We help our clients have more fun, less stress, and get the most vacation for their money!